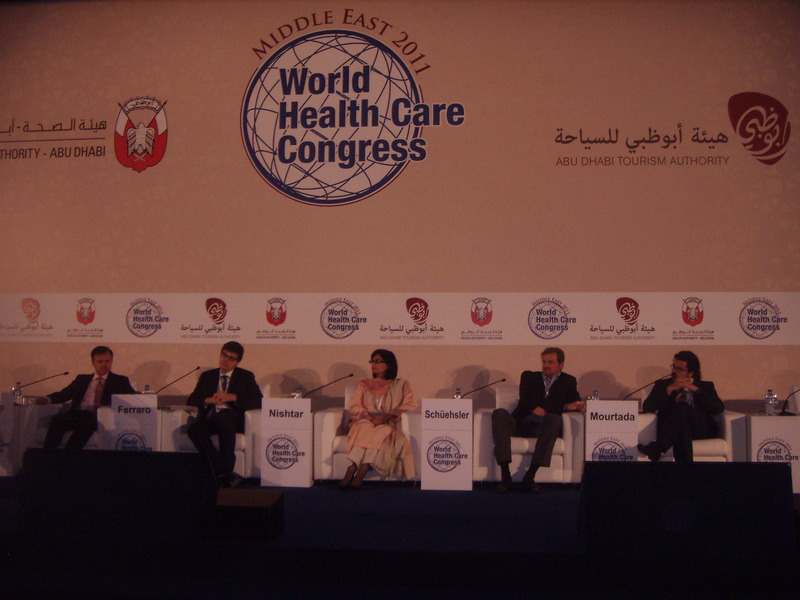 December 26: 2011: Abu Dhabi recently hosted the World Health Care Congress Middle East where a plenary session on Innovative Financing Models for Global Health Care Challenges was featured as part of the Congress’ emerging trends theme. The panel included Robert Filipp, (Founder, Innovative Finance, Geneva); Dr. Paolo de Santis, (Partner, McKinsey & Co., Rome); Wassim Mourtada, (CEO Envision ALR, Abu Dhabi); Helmut M. Schüehsler, (Managing Partner, TVM Capital, Munich) and Heartfile Founder and President, Dr. Sania Nishtar. 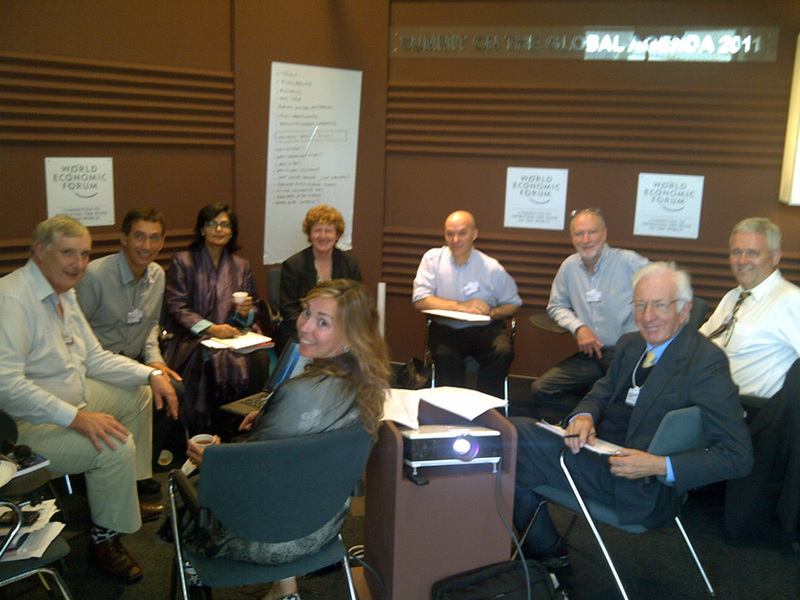 December 24, 2011: The annual meeting of the World Economic Forum’s Global Agenda Council, with its focus on global risks and the means of their mitigation, was held in Dubai, from November 30–December 1, 2010. This year, the Chronic Disease Council had a strategic role to play in convening members to deliberate on strategies to address the chronic disease challenge in view of the upcoming UN General Assembly special session on chronic non-communicable diseases in September, 2011. Dr. Sania Nishtar attended the meeting as a member of the Council on Chronic Diseases. December 19, 2011: As a follow up to the UN high level summit on NCDs, a WHO EMRO consultative meeting was recently held on “Building Regional NCD Research Agenda and Enhancing Implementation of NCD Action Plan.” The meeting, which was held in Dubai, from 11 to 13 December 2011 concluded with a set of research priorities and was well attended by researchers and policy makers from all over the WHO EMRO region. Heartfile president, Dr. Sania Nishtar attended the meeting as the invited expert from Pakistan. 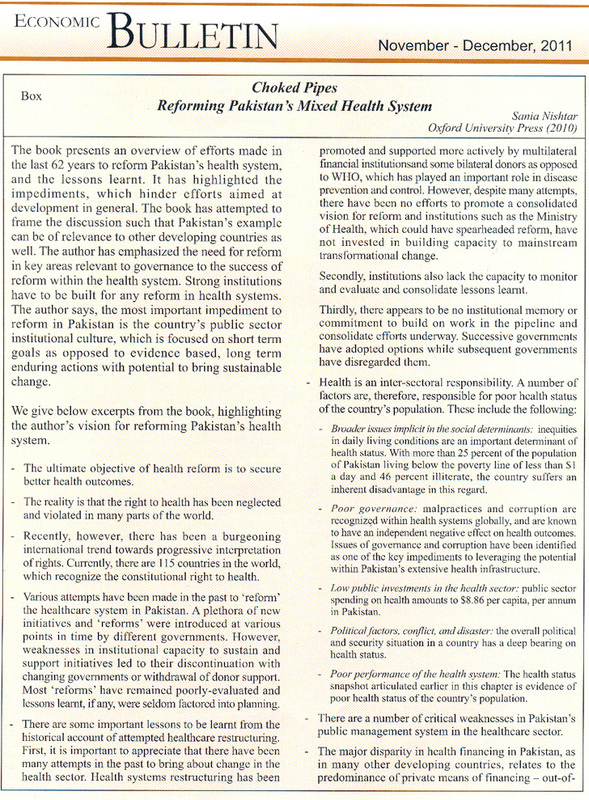 December 14, 2011: Heartfile Health Financing was featured as a key theme in discussions at the 2nd Annual Public Health Conference on Health Systems held at the Health Services Academy in Islamabad. The focus was on “Public health in the wake of recent reforms in Pakistan.” Dr. Sania Nishtar was invited to speak at the opening plenary and Dr. Faraz Khalid gave a program overview in one of the concurrent sessions. December 12, 2011: University of Hong Kong in collaboration with Elsevier, hosted the Health System Reform in Asia Conference 2011 on Dec 9-12 in Hong Kong. Dr. Sania Nishtar’s plenary talk at the conference, relayed via a video link can now be accessed here. 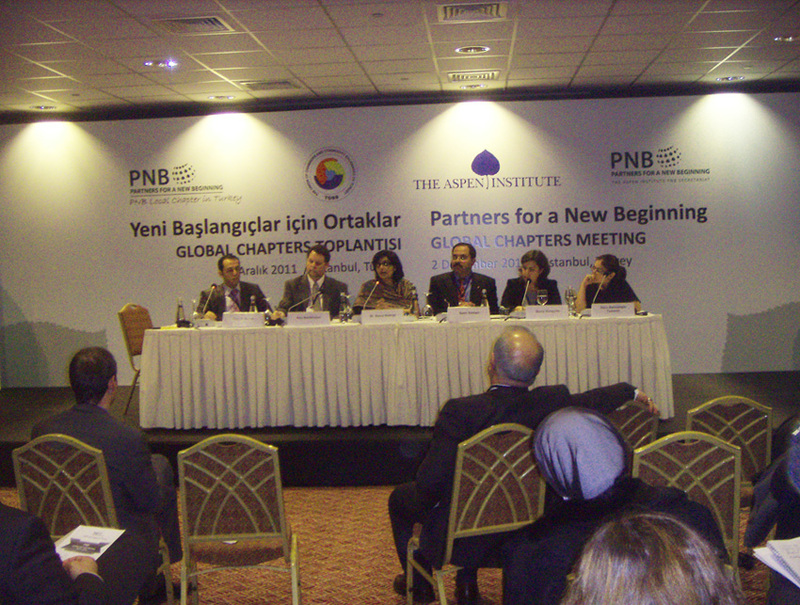 December 09, 2011: One of the plenary sessions at the recent meeting of the Global Chapters of Partners for a New Beginning, in Turkey on December 2, focused on Partnerships. Our President, Sania Nishtar was on the panel and shared with the panel and the audience Heartfile’s approach to partnership building. Review of Choked pipes published in the Economic Bulletin, Vol. 38, No. 6 of National Bank of Pakistan. November-December, 2011.